Advanced AH-IPS panels have been incorporated into this display from Philips, as well as Flicker-Free technology. It also features a SmartErgoBase, which allows the monitor to tilt and swivel. Specs: Four USB 2.0 ports, built-in stereo speakers, DisplayPort connection, PowerSensor. Featuring a 4K resolution of 3840×2160, this display from Iiyama provides an area with four times more information and work space than a Full HD screen. It also boasts PIP and PBP features. Specs: 10-bit colour processing, Flicker- Free technology, built-in speakers, 4K video quality. Featuring a dynamic ratio of 12M:I, footage is shown in Ultra High Dynamic contrast, plus its LED backlight provides clearer images with no light leakage. It also comes with a 2ms GTG response time to help limit any ghosting. Specs: 21.5-inch screen size, 1920×1080 resolution, 16.7 million display colours, built-in speakers. AMD FreeSync technology comes embedded in Acer’s monitor as well as support for AMD’s Radeon R-Series GPU, which helps to eliminate tearing. It comes with a response time of 1ms and an edge-to-edge 27-inch display. Specs: HDMI 2.0 port, two 2W speakers, Acer EyeProtect technology, flicker-less technology, AMD FreeSync. A semi-transparent blue finish design has been incorporated into this monitor, which features a slim narrow bezel and a T-shaped stand. Samsung’s edition also delivers 178 degree views and boasts Flicker-Free technology. Specs: Eco Saving Plus, 4ms response time, 21.5-inch display, 1920×1080 resolution, PLS panel. Users can view content across this 32- inch 4K Ultra HD screen, with a resolution of 3840×2160. It features 1,074 billion colours and Flicker-Free technology, as well as a pair of built-in stereo speakers. Specs: USB 3.0 ports, 10-bit colours, SmartErgoBase, 4K UHD resolution. Energy-saving LED backlighting and high contrast ratios help to deliver clear images, while the height-adjustable stand tilts, swivels and pivots for additional views. It also comes with an aspect ratio of 16:9. Specs: Plug and Play, height adjustment, built-in speakers, LED backlighting, HDCP compatible. Content is displayed across the ProLite’s 25-inch LED screen, which features IPS panel technology. It offers wide viewing angles with 178/178 degrees along with a fast response time of 5ms. Specs: 25-inch display, 16.7 million colours, Full HD 1080p, LED backlight. This monitor from AOC features a Quad HD resolution of 2560×1440 pixels, providing users with four times the resolution of an HD display. It packs 16.7 million colours into its display and has an aspect ratio of 16:9. Specs: Built-in 3W speakers, height adjustment, Quad HD resolution, Plug and Play. With a large 24-inch screen, users can watch content with LED backlighting, which helps to deliver clearer videos. In addiiton, it comes with Flicker-Free technology to eliminate flickering. Specs: Multimedia Interface, 24-inch screen, 16:9 aspect ratio, Senseye and Flicker-Free technology. The Philips AH-IPS LED display features 2560×1440 pixels and helps to avoid eye fatigue thanks to its Flicker-Free technology. It boasts edge-to-edge glass and a narrow boarder as well as SmartImage presets. Specs: USB 3.0 and HDMI ports, built-in stereo speakers, DisplayPort connection, SmartEergoBase. This 27-inch display comes with a borderless design with a Full HD resolution. It features a 100,000,000:1 contrast ratio while the dual PC and HDMI input connectors allow users to pair the monitor with other devices. Specs: LED backlight, 1920×1080 Full HD resolution, built-in speakers. 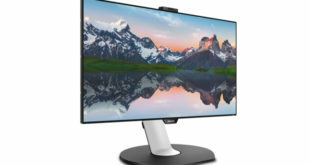 HannsG’s monitor comes with a screen size of 21.5-inches that provides users with an ultra-wide viewing angle of 178/178. It boasts a 1920×1080 WUXGA resolution and plays footage in Full HD 1080p. Specs: 1920×1080 resolution, Full HD 1080p videos, LED backlight. 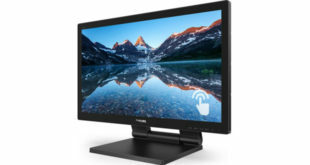 The 70-inch LCD-panel features Full HD resolution and black levels to provide ergonomic viewing. It boasts two HDMI, DisplayPort, DVI and VGA connections, with a native resolution of 1920×1080. Specs: Landscape orientation, LED backlight, 70-inch display, 8ms response time, 1920×1080 resolution. Users can watch content displayed across this monitor’s 27-ich curved screen, which features an aspect ratio of 16:9. 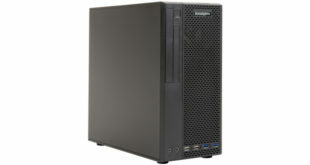 It boasts a response time of 4ms and a resolution of 1920×1080, plus it has a gaming mode. Specs: LED backlight, curved display, 99 per cent peak luminance ratio. 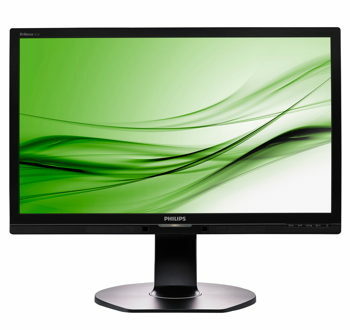 An LED backlight is included with this budget monitor, which plays video in Full HD 1080p. The 23.6-inch display comes with a response time of 5ms, which helps to provide less ghosting, as well as low power consumption. Specs: Active contract of 50,000,000:1, 23.6-inch screen, Full HD 1080p video.